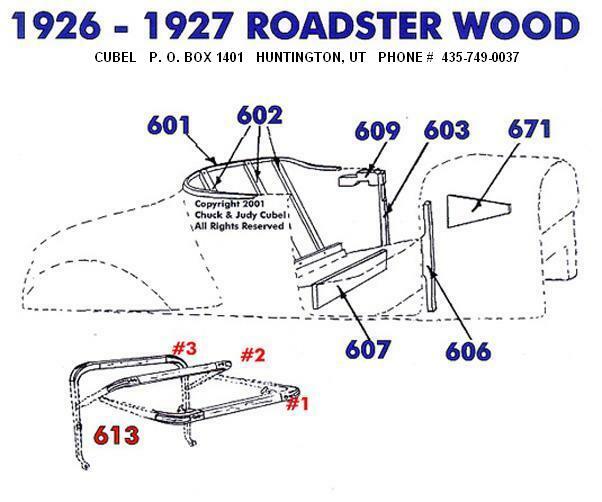 I am getting ready to install the springs on the back rest of a 1927 roadster. In my wood kit I have three slats that attach to the backrest but there is no wood for the bottom of the 3 slats. So is there a wood stick that attaches to the bottom of the three backrest sticks? Or do they attach to the metal panel of the backrest? Thanks for your input on this matter. Sure looks like it in this drawing, but maybe not, since it doesn't have a part number. Maybe contact them directly? I put a wood strip down the bottom but I'm a rebel and don't care if it's factory. Thanks for your response, you have confirmed my suspicions. I will get a strip of wood for the bottom of the back slats.